The AUN Scholarship is sponsored by the American University of Nigeria. The program provides academically promising but financially disadvantaged students with an opportunity for quality higher education. It welcomes application from all Africans and International who are sensitive to their communities’ concerns, and believe in their ability to make a difference. Students enrolled in the Scholars program receive comprehensive and part-scholarships, and are able to participate in all our leadership development programs. 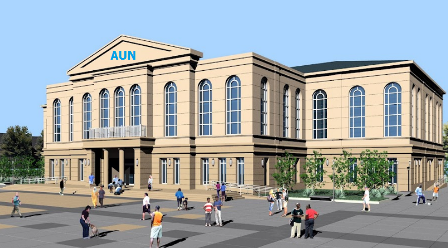 AUN has several types of financial assistance programs for students that cover full tuition. There are Academic Merit Scholarships as well as Need Based-Merit Scholarships. AUN also has a Work-Study Program and provides tuition waivers for children of AUN faculty and staff. AUN provides two full scholarships on an annual basis to students. Each year AUN awards full-tuition merit scholarships to students with outstanding academic qualifications. AUN Merit Scholarship awardees are selected from the newly admitted students on the basis of academic achievement and promise. These scholarships are outright grants of assistance for students based on demonstrated need. The purpose is to help qualified full-time undergraduates who could not otherwise pursue a university education. These scholarships are based on both financial need and merit, following an evaluation of two separate documents: 1) the student’s Admissions Application and 2) the AUN financial Aid Application and supporting documents. A minimum 2.5 cumulative GPA is required to maintain this Scholarship. A 3.0 cumulative GPA is required in order to graduate. For more details, visit AUN Scholarship webpage. Note: Classes Start 24th January, 2017. Now that all the information about American University of Nigeria Scholarship Program has been delivered nicely; talented students who are eager to pursue their Free Tuition/Scholarships/Study with AUN for Undergraduate, Bachelors, Masters, PhD, Associate Degree and Other Degrees, can apply now. can i get a bechelor degree in sociology. Go through the information in this post, you will see guidelines to apply. Scholarship is offered in all courses. I am Dibisa Weyuma Biru From Ethiopia and I have Bachelor of Degree in Management from Wollega University on June 28,2015. I am Interested to apply Masters scholarship and you are kindly requested please contact if I selected on my Phone No. +251925837573 /+251925909386. Dibisa Weyuma, Please go through the information in this post, you will see guidelines to apply.